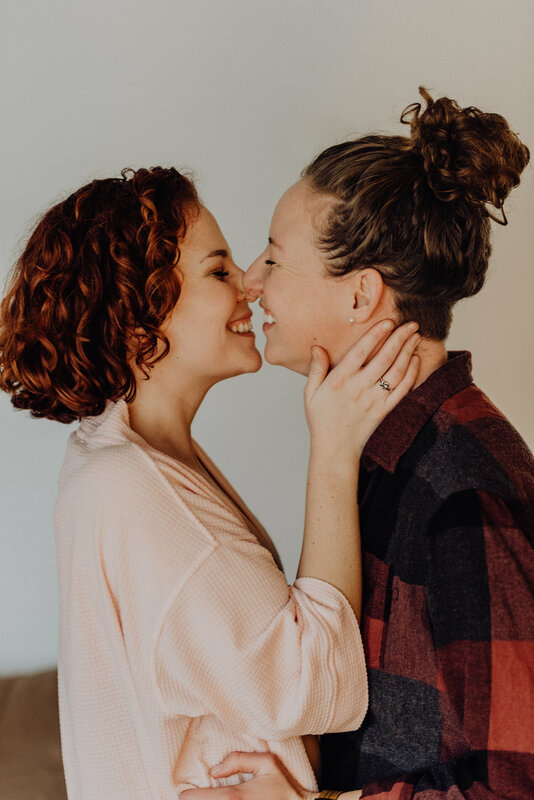 Everything about Veronica and Chelsea’s session made me happy. 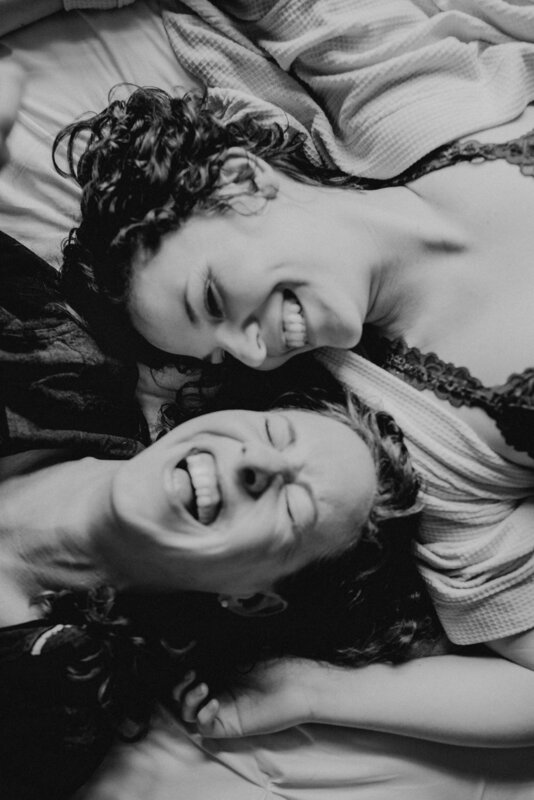 Their giggles, their playfulness, love, honestly and vulnerability, soulfulness, and smiles. I definitely left their session feeling energized and high off love. When I showed up to their home for their session, the uber talented (and one of my favorite people ever) Katie-Laine Thornton was already there working her magic on their hair and makeup. I love how she is able to always really stay true to who her clients are and their aesthetic, and she always brings a lovely warmth to shoots as well. I brought a little Champagne and OJ and we kicked things off with some mimosas and chatted around their table while finishing up with hair and makeup and bonded over the perils of growing up with naturally curly hair in the humid south. Their shoot was amazing – and one of the main reasons was simply because they were themselves. I firmly believe that when you are yourself, and allow others to see the authentic you, that a connection is made that transcends what a basic photo shows. Your photos come alive with honesty and realness. Yes- good light, a pretty setting, good direction, nice wardrobe, and all that jazz will definitely raise the visual aesthetic of photos. But when YOU are really truly in them, well, that’s when something special happens. I’ll never get over how amazing it is that my clients trust me to see them and capture their realness. Their love and truth. Thank you, Veronica and Chelsea, for allowing me to do that! 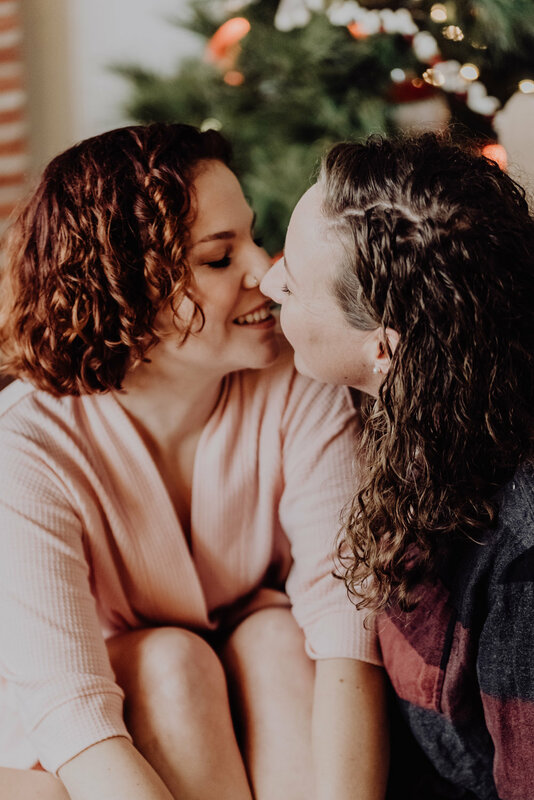 These two have also graciously allowed us to share their full gallery so that you can get a peek into what a full session entails! You can view that here.